…as the more affluent cities become more networked and grow “smarter,”…the poorer cities fall behind…. The idea that computers and digital technologies can help improve cities in diverse ways is not new. IBM helped popularize the concept in an advertising campaign for “Smarter Cities,” which sought to boost sales of enterprise software to city governments as tools for urban planning and administration. However, “smart cities” has no specific, recognized meaning within urban planning circles, and indeed, it has been accused of functioning as a Rorschach test upon which people project many different meanings. That said, it is abundantly clear that the explosion of digital technologies over the past generation and their impact on cities has been significant. The proliferation of Internet access, mobile devices and big data is changing the fundamental character of everyday life in cities, at least for businesses and most individuals. It is less clear that city governments are adapting well to the new landscape, let alone showing creative leadership in deploying new tech infrastructures to foster economic development and citizen participation and improve bureaucratic processes. “Four big changes are coming together that are suddenly providing the capacity to make cities ‘smarter’ than they were before,” said Stefaan Verhulst, Co-founder and Chief Research and Development Officer at the GovLab at New York University. Cities can now use four asset classes, or tools—people, data, infrastructure and technologies—which can each interact in more fluid, synergistic ways than before, Verhulst explained. For example, individuals can more easily connect their skill-sets with jobs and their social preferences with like-minded cohorts than ever before. Data is far more abundant and shareable, especially as new infrastructures such as broadband, cloud computing and Wi-Fi have become ubiquitous. These developments in turn have inaugurated many new types of communications, “gig economy” markets and social habits. The convergence of these factors, among others, is prompting many people to begin to think about cities not just as places, but as platforms. Historically, cities have been governed through nineteenth and twentieth- century ideas of civic organization and social norms. Much revolves around representative governance and centrally directed bureaucracies overseen by experts using strict, formal rules of procedure. Conceiving of cities as platforms represents a significant shift in how cities might function. An open platform honors self-organized, bottom-up participation in the style of open source software, for example. It regards rigid and complex rule-sets and non-transparency as irksome impediments. The vision of cities as platforms was the focus of a major conference, the City Innovate Summit, hosted by the City of San Francisco in June 2015. The event brought together delegations from fifteen international and U.S. cities to speak about civic innovations in eight different tracks, ranging from mobility and economic development to ecological sustainability, maker cities and urban manufacturing. Sessions explored how cities could develop policies that foster inclusiveness, such as helping working women with children, catalyzing business development in less privileged areas of cities, and encouraging the deployment of broadband to spur social and commercial opportunities. In networked cities, added Marianne Wu, Managing Director of GE Ventures, a division of General Electric, there is increasingly a focus on “purpose-built infrastructure. The resident, the citizen, the user is intrinsically part of the value equation,” especially as costs for information technology infrastructure have fallen dramatically, facilitating wider participation. The organizational self-interests of service-delivery systems and vendors are starting to be subsumed and adapted to the needs of users. The shift in mindset to “the city as platform” is having profound repercussions that radiate into nearly every corner of city administration, governance, urban planning, commerce, transportation, public health and safety, social and cultural life, and democratic citizenship. This report will review some of the most exciting civic innovations in the U.S., including the myriad uses of open data systems, “push” notifications to citizens, and crowdsourcing of distributed information. It will also describe the use of rapid open-source prototyping as a tool for urban planning, and institutional transformations that seek to leverage citizen participation via networks, minimizing bureaucracy. We will conclude with an assessment of the sweeping shifts of power, wealth and voice that the networked city is catalyzing, and how policy can facilitate a smoother transition to new forms of open-platform governance and administration. What does it mean to re-imagine urban governance and administration as functions performed on network platforms? It means many things, including new types of municipal institutions, new attitudes about the government’s proper role, and political leadership that aims to facilitate and empower, not dictate and control. A different worldview and culture must emerge. “We have to provide new opportunities for people to create the government that they deserve,” said Jennifer Pahlka of Code for America. “Part of this means not distinguishing between service delivery and citizen engagement as if they are two different things. IT systems have been built up around a lot of institutional dysfunctions,” she noted. “Instead we have to start with users and their needs,” not with the priorities of city agencies and service delivery systems. There is a natural disinclination to move to a user-centric model because city officials typically see themselves as more directly answerable to politicians and city councils than to individual citizens. In a networked environment, however, this mentality can not only lead to poorer service, it can sabotage the city’s “brand”—its image, goodwill and culture—and fuel citizen frustration, anger and cynicism. The best way to address this problem is for governments to focus on users and make interactions more convenient and seamless, said Pahlka. The length and complexity of official hearings could be made more citizenfriendly, for example. The process for obtaining city permits could be streamlined by putting it online. People with special interests in traffic or city parks could be offered periodic text notifications on their smartphones. While such examples are fairly basic forms of “citizen service,” the more significant opportunities for city governments lie in leveraging the energies and imaginations of citizens. Of course, this is a very different vision of the role citizens can and should play in a city. Instead of simply voting every few years and leaving city administration to elected officials and expert bureaucrats, the networked city sees citizens as “co-designers, co-producers and co-learners,” with government in developing better city services and processes, Stefaan Verhulst of GovLab noted. This vision of citizen/government collaboration also challenges the familiar “private sector, good; public sector, bad” narrative of contemporary political life. “Private is held up as the panacea of wonderfulness and innovation,” said Peter Marx, Chief Technology Officer for the City of Los Angeles, “and government is cast as an old, gray, stodgy, never-changing bureaucracy. That’s the running vernacular. I think the reality, like all such stereotypes, is rather different. We all know that private [sector] is not a panacea and that government is changing continuously.” We need to get beyond this simplistic narrative, he asserted, and recognize that self-organized citizen engagement as a third force— neither public nor private—holds great promise. The idea of “city as platform” is about developing the infrastructures and policies that enable citizens, businesses and other civic constituencies to play a greater direct role in the city’s life. With open spaces for people to contribute and take responsibility, cities can become “governance experiments” in which ordinary people and city agencies can explore different and better ways of meeting needs and enlivening public life. “Give people some space and let them engage constructively on their own without excessive supervision,” advised Steve Adler, Chief Information Strategist of IBM. “There are lots of things that are happening in our lives and our cities that the government can’t track and manage—and there are lots of ways in which citizens want to engage, but government doesn’t let them.” Giving people spaces to experiment and contribute may be one of the best ways to surface new ideas and develop innovative projects, Adler suggested. 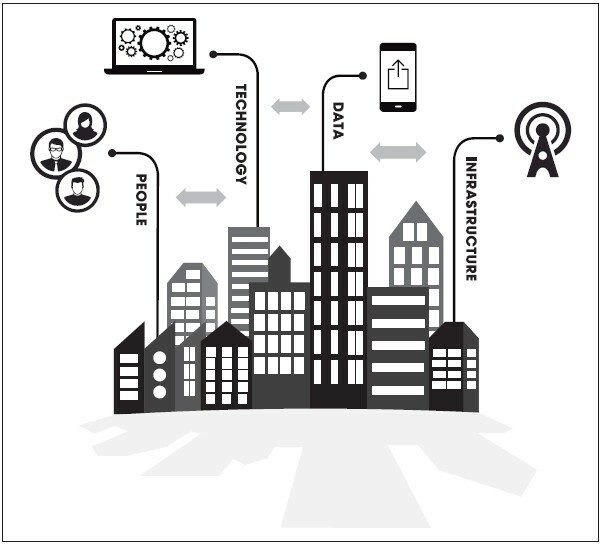 Re-imagining the city-as-platform can be difficult, however, because so many traditional systems of city governance, service-delivery and management have a very different logic and culture than those spawned by network platforms. Traditional modes of representative politics and bureaucratic administration have been around for decades, even centuries, and are generally designed to exercise strict control. They have produced a well-developed worldview and professional culture that prizes fixed rules and regularities. Can these perspectives and practices be harmonized with the emerging network culture of constant disruptive innovation driven from the edge? Can new sorts of institutions be invented that leverage, rather than resist, the affordance of new technologies? Most conference participants agreed that the challenge is finding new ways for city governments to navigate a transition to “platform governance”—network-based modes of interacting with citizens and co-producing services. Such a pathway has many upsides, but it is also fraught with complicated political, economic, technical and cultural obstacles. The inadequacies of current systems are well-illustrated by city government websites. “In many cities, we’re not even getting the basics right,” said Jennifer Pahlka, Founder and Executive Director of Code for America, an organization of volunteer coders who help governments reimagine and rebuild information and administrative systems. Pahlka, who lives in Oakland, complained that her city’s website consists of “34,000 PDFs tied together by some content that is completely unintelligible.” Because paper documents are merely scanned and posted on the Web as PDFs, they are not searchable or amenable to cross-links. The poor navigation means that users searching for a particular bit of information will be frustrated if not stymied entirely. “That’s what most city websites are,” said Pahlka. “The problem is that cities are in fact very smart, but most city governments aren’t very smart right now. Many citizens may wonder why a four-person consultancy on the corner can have a responsive, clear website, but their city government doesn’t,” Pahlka said. Of course, far-sighted cities are not only Web-savvy in how they communicate with citizens, but keenly aware that many people, especially poorer citizens, rely on smartphones more than computers to interact with government. The more astute politicians and city managers also realize that the tech experiences that citizens have with city government will greatly affect a city’s “brand reputation” and perceived personality. A city’s challenges go deeper than specific tech platforms. Entrenched institutional structures must be scrutinized and revamped: “We have political and institutional structures in cities that go back 150 years or more,” said Robert Pepper, Vice President of Global Technology Policy for Cisco. As a result, many cities have entrenched fiefdoms of political power and bureaucratic authority that function as independent silos; collaboration across silos is minimal to nonexistent. As a result, said Luis Herrera, City Librarian of the San Francisco Public Library, “there are often knots within the city structure that need to be unraveled in order to leverage collaboration. To make things worse, many cities have limited resources.” This can lead to serious inequalities for the citizens of a state as the more affluent cities become more networked and grow “smarter” (as in the Bay Area), while the poorer cities fall behind (as in the Central Valley of California). Once you ask that question, you begin to open up questions about collaboration among city departments. Peter Hirshberg of the City Innovate Foundation noted that the City of San Francisco gets hundreds of requests for city data, but it is impossible to respond to many of them without first “moving that data out of proprietary systems and making them available at a ‘higher abstraction layer’ [i.e., based on open, interoperable standards] so that the data can support future services.” Apart from these familiar problems of city administration, many larger metropolitan regions have the problem of fragmented and multiple jurisdictions. In Marin County, a region with 250,000 residents, there are about 15 different police chiefs and fire chiefs, and numerous independent water districts. Los Angeles County consists of 88 different incorporated cities and 120 different government agencies. St. Louis County, which does not even include the City of St. Louis, has 99 different jurisdictions and 60 different police departments, many of which have been self-financed through the aggressive handing out of speeding tickets. Not surprisingly, coordination among jurisdictions in managing shared infrastructure, programs and policies can be next to impossible. Transparency about city government would presumably help address some of the problems described above. But transparency does not necessarily spur the kinds of change imagined, several participants pointed out. The threat of transparency can be inhibiting if disclosures are politically damaging (a failed information technology experiment, data revelations about unequal services in different neighborhoods, etc.). The easier choice is for many politicians to avoid risky experiments in the first place. Why embrace open data systems and open network platforms that are likely to showcase administrative failures or embarrassing political choices? Yet a lack of transparency is obviously a problem, too, because it means that the performance of information systems and city agencies remain politically moot. Blair Levin, Senior Fellow at the Metropolitan Policy Program at Brookings Institution, noted that many structural problems of city administration “do not really translate into what we might think of as a political discussion.” Levin sees only two ways to break the inertia: opportunities or crises. When Google offered to help the City of Kansas City with next-generation deployments of network technology, it was an opportunity for the city—but one that required that it first streamline its regulatory and decision-making processes. As for crises—infrastructure failures, poor agency coordination, etc.— they provide their own political justifications for action. Robert Pepper of Cisco believes that the challenges of building networked cities could be given political relevance by creating a ranking system. The World Economic Forum (WEF) has developed a “Network Readiness Index” that ranks every country in the world on its “net readiness.” This index is similar to another WEF ranking system, for global competitiveness. Pepper reports that such annual, published rankings help focus the attention of government officials and stimulate action. Why not establish some appropriate metrics for ranking city governments on their performance in network-based administration and governance?